Venture out of the city with trips to Carneiros Beach (in Tamandare) and Maragogi Beach (in Maragogi). 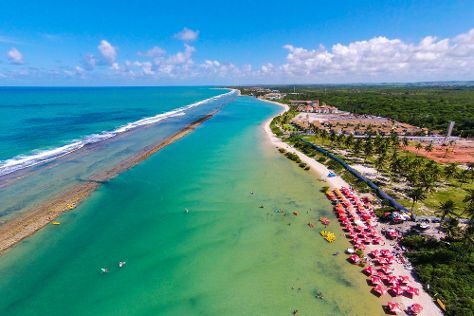 And it doesn't end there: enjoy the sand and surf at Muro Alto Beach, explore the gorgeous colors at Natural Pools of Porto de Galinhas, and stroll through Serrambi beach. To find ratings, where to stay, and more tourist information, you can read our Porto de Galinhas trip maker tool . Atlanta, USA to Porto de Galinhas is an approximately 16-hour flight. You'll lose 2 hours traveling from Atlanta to Porto de Galinhas due to the time zone difference. Expect much warmer temperatures when traveling from Atlanta in December; daily highs in Porto de Galinhas reach 85°F and lows reach 77°F. Finish your sightseeing early on the 6th (Thu) to allow enough time to travel to Fernando de Noronha. Spend the 11th (Tue) exploring nature at Fernando de Noronha Marine National Park. There's still lots to do: kick back and relax at Baia do Sancho, get outside with Baia dos Porcos, and stroll through Praia do Leão. To find ratings, traveler tips, maps, and more tourist information, use the Fernando de Noronha journey planner. Do a combination of shuttle and flight from Porto de Galinhas to Fernando de Noronha in 3.5 hours. The time zone difference when traveling from Porto de Galinhas to Fernando de Noronha is 1 hour. 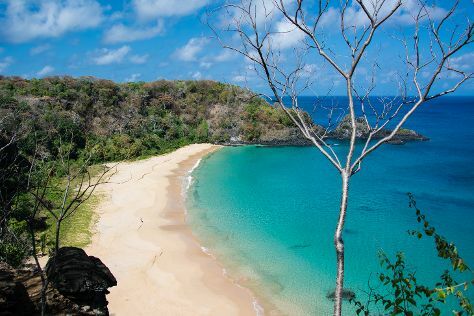 In December, daytime highs in Fernando de Noronha are 86°F, while nighttime lows are 77°F. Cap off your sightseeing on the 13th (Thu) early enough to travel to Sao Paulo. Change things up with a short trip to Tombo beach in Guaruja (about 1h 30 min away). And it doesn't end there: stroll through Ibirapuera Park, explore the world behind art at Museu de Arte de Sao Paulo Assis Chateaubriand - MASP, pick up some local products at Mercadao - Sao Paulo Municipal Market, and wander the streets of Paulista Avenue. For other places to visit, more things to do, traveler tips, and more tourist information, refer to the Sao Paulo trip maker app . Traveling by flight from Fernando de Noronha to Sao Paulo takes 6.5 hours. Traveling from Fernando de Noronha to Sao Paulo, you'll gain 1 hour due to the time zone difference. Traveling from Fernando de Noronha in December, plan for little chillier nights in Sao Paulo, with lows around 67°F. Finish your sightseeing early on the 16th (Sun) so you can travel to Rio de Janeiro. Rio de Janeiro is known for beaches, parks, museums, nature, and nightlife. 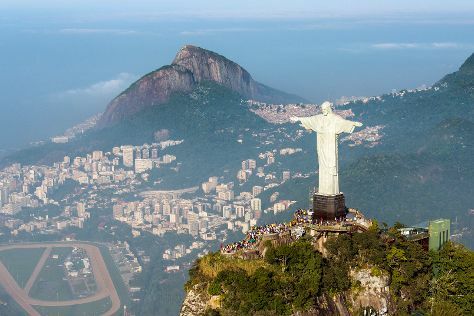 Your plan includes some of its best attractions: pause for some photo ops at Corcovado Christ the Redeemer, stroll through Pedra do Arpoador, explore and take pictures at Maracanã, and take in nature's colorful creations at Jardim Botânico do Rio de Janeiro. For more things to do, other places to visit, where to stay, and other tourist information, go to the Rio de Janeiro travel route planner. Traveling by flight from Sao Paulo to Rio de Janeiro takes 1.5 hours. Alternatively, you can do a combination of bus and flight; or drive. Traveling from Sao Paulo in December, plan for somewhat warmer nights in Rio de Janeiro, with lows around 74°F. Wrap up your sightseeing on the 22nd (Sat) early enough to travel to Gramado. Gramado is known for parks, nature, museums, theme parks, and historic sites. Your plan includes some of its best attractions: tour the pleasant surroundings at Mini Mundo, make a trip to Caro Watson Escape Game, take in nature's colorful creations at Le Jardin Lavender Park, and take in the architecture and atmosphere at Catedral de Pedra. To find ratings, reviews, traveler tips, and other tourist information, use the Gramado online trip builder . You can do a combination of flight and bus from Rio de Janeiro to Gramado in 6 hours. Alternatively, you can drive; or take a bus. Wrap up your sightseeing on the 25th (Tue) early enough to travel to Foz do Iguacu. On the 26th (Wed), admire the engineering at Iguazu Falls. On the 27th (Thu), you'll have a packed day of sightseeing: take in the dramatic scenery at Iguazu Falls. To find ratings, photos, more things to do, and tourist information, read Foz do Iguacu day trip tool . Traveling by combination of bus, train, and flight from Gramado to Foz do Iguacu takes 6.5 hours. Alternatively, you can drive; or take a bus. In December, daytime highs in Foz do Iguacu are 87°F, while nighttime lows are 69°F. Wrap up your sightseeing on the 27th (Thu) early enough to travel to Buenos Aires. Buenos Aires is known for nightlife, historic sites, museums, parks, and shopping. Your plan includes some of its best attractions: take in nature's colorful creations at Parque 3 de Febrero, make a trip to Recoleta Cemetery, shop like a local with Palermo, and explore the engaging exhibits at Museo de los Ninos. To see photos, ratings, maps, and tourist information, read our Buenos Aires road trip planning tool . Getting from Foz do Iguacu to Buenos Aires by combination of bus and flight takes about 5.5 hours. Other options: drive; or take a bus. In December in Buenos Aires, expect temperatures between 83°F during the day and 68°F at night. Finish up your sightseeing early on the 2nd (Wed) so you can travel to El Calafate. On the 3rd (Thu), explore the striking landscape of Parque Nacional Los Glaciares. Get ready for a full day of sightseeing on the next day: take in the dramatic natural features at Onelli Glacier and then get outside with Enjoy!. To find ratings, maps, traveler tips, and other tourist information, read El Calafate trip builder tool . Getting from Buenos Aires to El Calafate by flight takes about 5 hours. Other options: drive; or take a bus. When traveling from Buenos Aires in January, plan for cooler days in El Calafate, with highs around 58°F, while nights are slightly colder with lows around 56°F. Wrap up your sightseeing on the 4th (Fri) early enough to take a shuttle to Los Glaciares National Park. 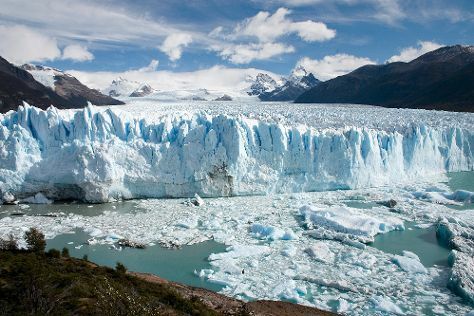 A World Heritage Site, Los Glaciares National Park contains a giant ice cap that feeds 47 vast glaciers. Kick off your visit on the 5th (Sat): take in the dramatic natural features at Glaciar Seco and then explore the striking landscape at Perito Moreno Glacier. On the 6th (Sun), you'll have a packed day of sightseeing: trek along Laguna de los Tres. For reviews, other places to visit, and other tourist information, you can read our Los Glaciares National Park trip itinerary builder tool . Traveling by shuttle from El Calafate to Los Glaciares National Park takes 2 hours. In January in Los Glaciares National Park, expect temperatures between 58°F during the day and 56°F at night. Wrap up your sightseeing on the 6th (Sun) early enough to travel to Santiago. Dedicate the 11th (Fri) to wine at some of the top wineries in the area. There's still lots to do: stroll through San Cristóbal Hill, admire the striking features of Metropolitan Cathedral (Catedral Metropolitana), get engrossed in the history at Museo Chileno de Arte Precolombino, and explore the galleries of Centro Cultural Palacio de la Moneda y Plaza de la Ciudadania. To find photos, traveler tips, reviews, and tourist information, go to the Santiago trip itinerary builder website . You can fly from Los Glaciares National Park to Santiago in 8.5 hours. Other options are to do a combination of bus and flight; or do a combination of flight and bus. Due to the time zone difference, you'll gain 1 hour traveling from Los Glaciares National Park to Santiago. Finish up your sightseeing early on the 11th (Fri) so you can travel to Puerto Ayora. The largest settlement in the Galapagos, Puerto Ayora offers visitors to the islands an array of facilities and things to do. Puerto Ayora is known for wildlife, nature, adventure, beaches, and museums. Your plan includes some of its best attractions: identify plant and animal life at Charles Darwin Research Station, kick back and relax at El Garrapatero, stroll through Galapagos Beach at Tortuga Bay, and explore the striking landscape at Las Grietas. Plan a trip to Puerto Ayora easily and quickly by telling Inspirock to suggest an itinerary. Explore your travel options from Santiago to Puerto Ayora with the Route module. You'll gain 1 hour traveling from Santiago to Puerto Ayora due to the time zone difference. In January in Puerto Ayora, expect temperatures between 84°F during the day and 74°F at night. Cap off your sightseeing on the 16th (Wed) early enough to catch the ferry to Puerto Baquerizo Moreno. The capital of the Galapagos Islands, Puerto Baquerizo Moreno is located on easternmost island of the archipelago, San Cristobal. Spend the 20th (Sun) exploring nature at Cerro Tijeretas. 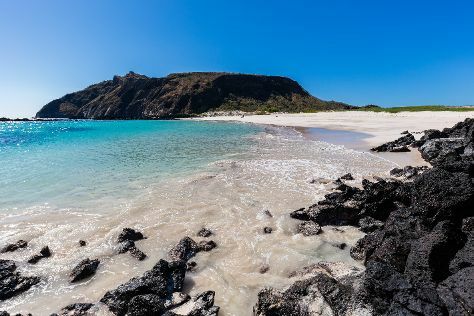 And it doesn't end there: enjoy the sand and surf at Cerro Brujo, head off the coast to Isla Lobos, tour the pleasant surroundings at Puerto Chino Beach, and look for all kinds of wild species at Galapaguera de Cerro Colorado. To find traveler tips, where to stay, ratings, and more tourist information, you can read our Puerto Baquerizo Moreno road trip planning website . You can ride a ferry from Puerto Ayora to Puerto Baquerizo Moreno in 2.5 hours. January in Puerto Baquerizo Moreno sees daily highs of 84°F and lows of 74°F at night. Wrap up your sightseeing on the 22nd (Tue) early enough to travel to Machu Picchu. Machu Picchu is known for historic sites, nature, spas, parks, and shopping. Your plan includes some of its best attractions: explore the ancient world of Santuario Historico de Machu Picchu, witness a stunning natural landmark at Hot Springs (Aguas Calientes), take in nature's colorful creations at Los Jardines de Mandor, and take some stellar pictures from Intipuncu. To find more things to do, reviews, where to stay, and other tourist information, read Machu Picchu trip planner. Explore your travel options from Puerto Baquerizo Moreno to Machu Picchu with the Route module. Cap off your sightseeing on the 25th (Fri) early enough to travel to Cusco. Change things up with a short trip to Pisac in Pisac (about 52 minutes away). There's lots more to do: steep yourself in history at Sacsayhuaman, pause for some serene contemplation at The Company of Jesus Church, contemplate in the serene atmosphere at Catedral del Cuzco o Catedral Basilica de la Virgen de la Asuncion, and appreciate the extensive heritage of San Blas. To see where to stay, other places to visit, traveler tips, and tourist information, you can read our Cusco visit planning app . Getting from Machu Picchu to Cusco by combination of train and bus takes about 3 hours. Other options: drive; or take a bus. In January in Cusco, expect temperatures between 67°F during the day and 46°F at night. Wrap up your sightseeing on the 28th (Mon) to allow time to travel back home.